For most people, summer isn’t that exciting because they may get easily bored. The kids are out of school, and it means more chores in the house. However, you can turn summer into a meaningful time instead of being worried about dirty dishes. 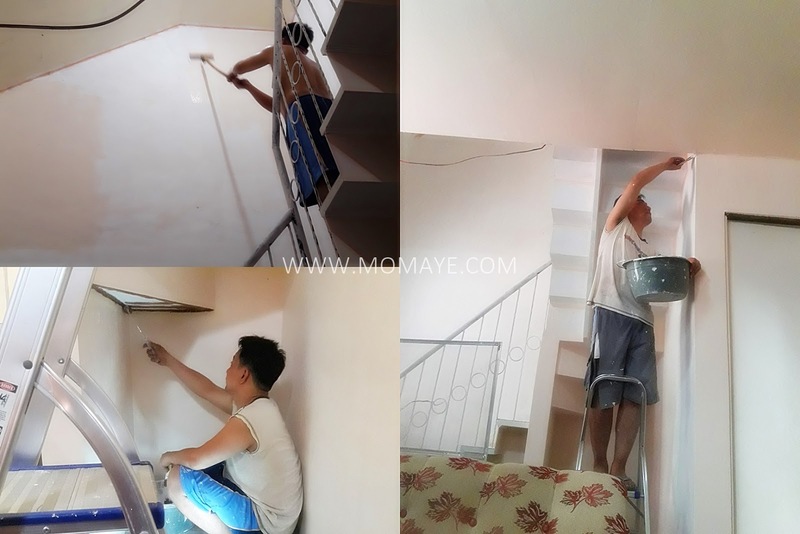 In fact, summer is the best time of the year to teach your kids some responsibilities in the house so they can participate in the household chores like cleaning the table, help to prepare the food, washing the dishes, setting up the laundry, watering the plant, etc. 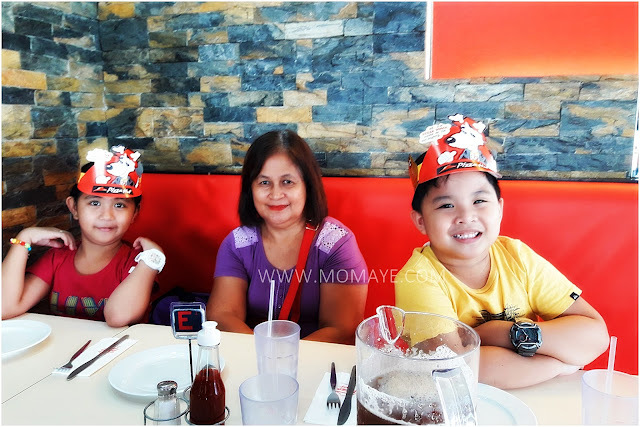 Aside from your kids will learn, there are more lovely reasons why your summer is superb! Yes, summer is the only time of the year that you can have a long vacation. Isn’t relaxing to get away from home for about a week or two? The perfect sunsets are shown only in summer, in front of the shore. Have you ever imagined where you are heading this summer will? The beach is already waiting for your arrival! Summer is the best time to have a dip in the beach, you know why! It is the moment for your family, away from school, from work, and from the nasty neighbors! Kidding aside, you will have your own family time and a chance to pause for your usual daily routine at home. There are many fruits in season during summer, most of the fruits are very cheap in price, but the tastes are just extraordinary delicious! It is time to get back into shape and summer is the perfect time to do it! If you are a parent, you know it is hard to find a chance to exercise. During this period of the year, people tend to sweat more because of the heat, and it is also the perfect time to move a leg as sweat glands are stimulating. Fresh seafood is just irresistible, and you can only find them during this season. If you are on a beach escapade and if you luckily came across fishers who are heading to the market, you can buy fresh seafood from them at a very affordable price! Halo-halo. Fruit shakes. BBQ. Ice-cream. Need to say more? Gorgeous swimsuits, shorts, stylish hats, fit flops, and hand woven bags! They are all in this summer! Of course, we want our kids to enhance their talent or discovery what they got! There are lots of summer activities you can choose from, depending on your budget, your child’s preference, schedule, and the venue. 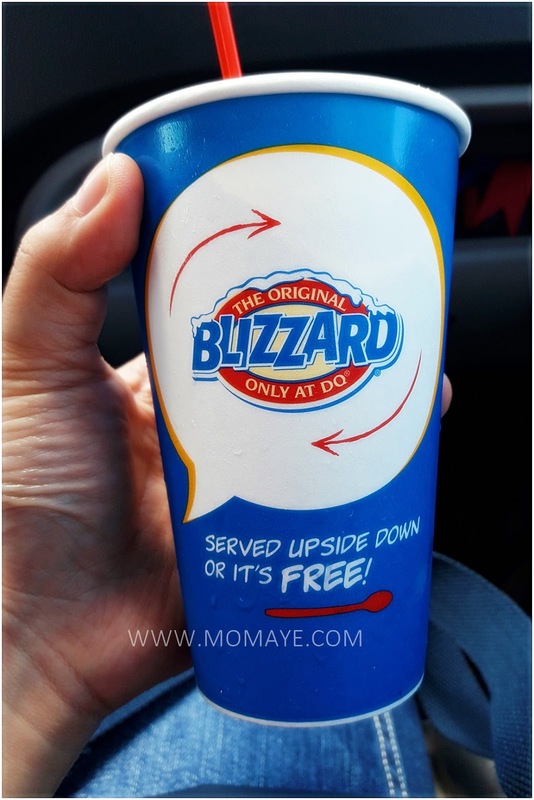 Mommy Blogger Pehpot made an ultimate list of summer activities for kids and teens. Those are the 10 reasons why summer is superb. So let's welcome summer with love! Oh yes, you read it right dearies! McDonald's has new Happy Meal Toys! Get ready for a fantastic adventure with McDonald’s new Smurfs Happy Meal toys! Going back to the McDonald’s new Smurfs Happy Meal toys. Collect all eight (8) Smurfs Happy Meal toys in vibrant colors for a fun playtime experience. 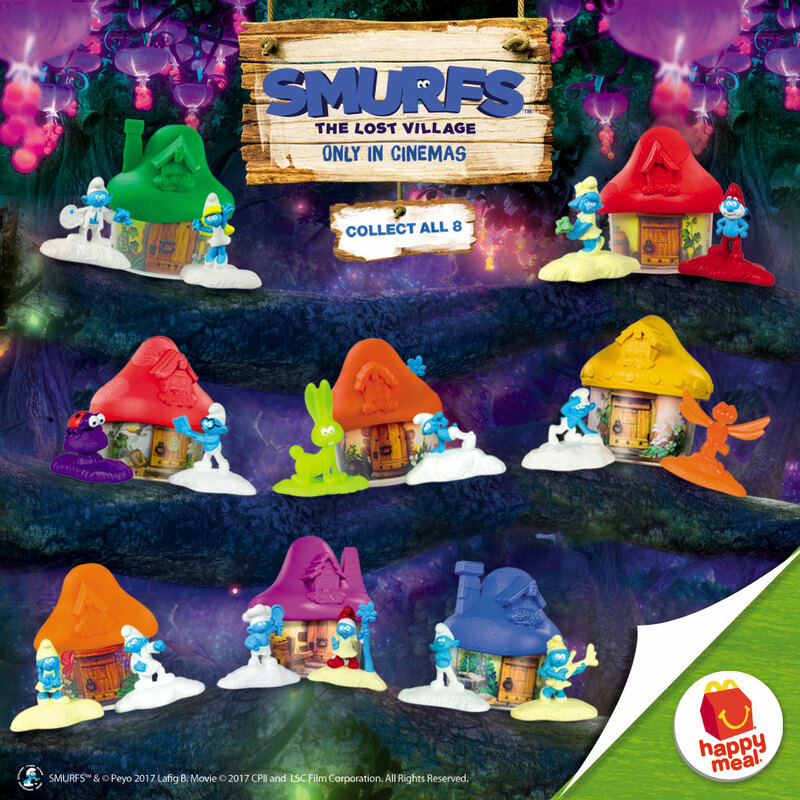 Each toy features a especially designed Smurf house and two unique Smurf friends, including favorite Smurfs characters like Papa Smurf, Brainy Smurf and Smurfette, so you can complete your own Smurfs village. Yes, Smurf house so you can create a village. Isn't that great! 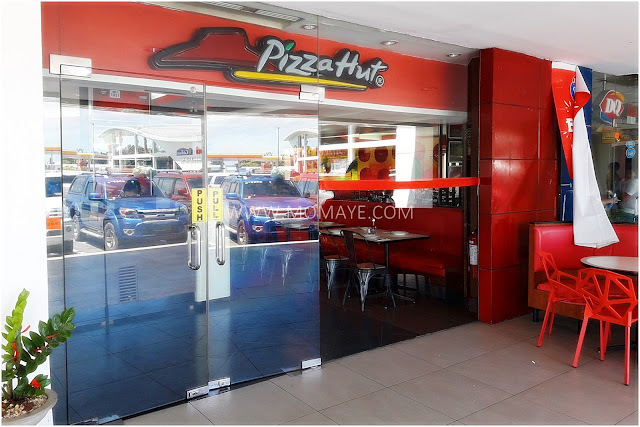 Sana macomplete namin ito. 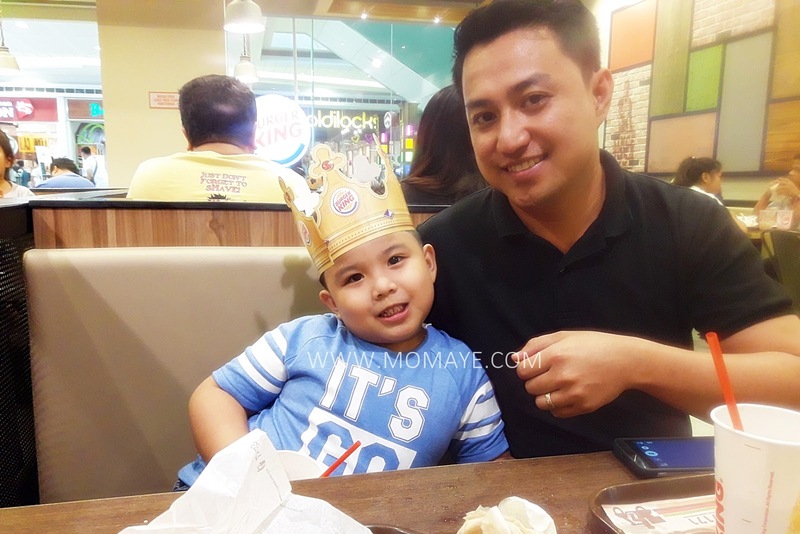 Can't wait to be with Matthew to celebrate his recognition day at McDonald's. Surely Matthew can make playtime extra magical with the latest McDonald’s Happy Meal collection. Share photos of your Smurfs village on McDonald’s Facebook page, www.facebook.com/McDo.ph, or tag @McDo_PH on Twitter and Instagram. This is a super delayed post. But just the same, I will still share it with you. Here's our second #SampleRoomPH loots. That's Daddy's Sample Room sample and he got it totally free kasi free din shipping fee. Yup, they had their free shipping on February 14th. 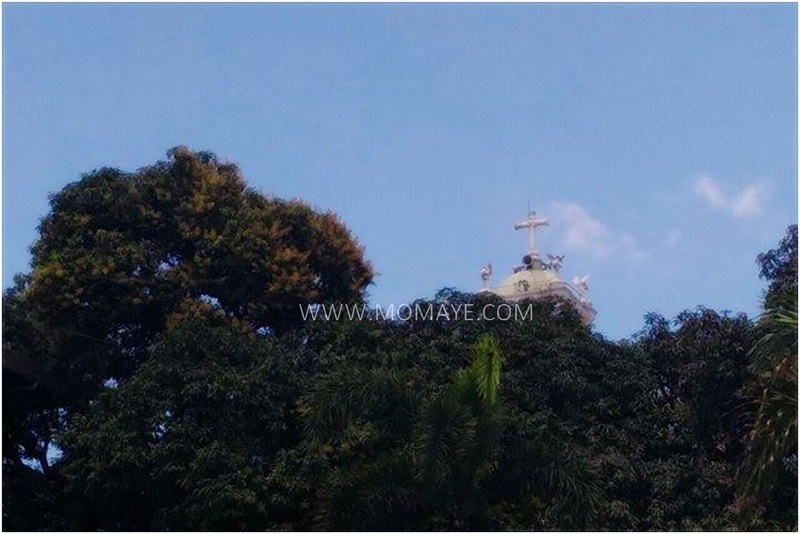 O hindi ba super late post na ito, hehe. 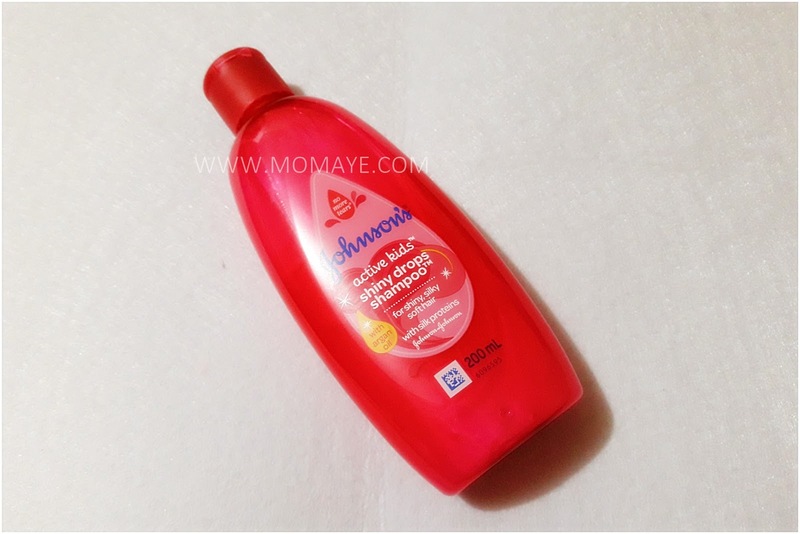 Anyways, he got this JOHNSON’S® Active Kids™ Shiny Drops™ shampoo for Matthew. I told you Matthew still uses baby products hehe. 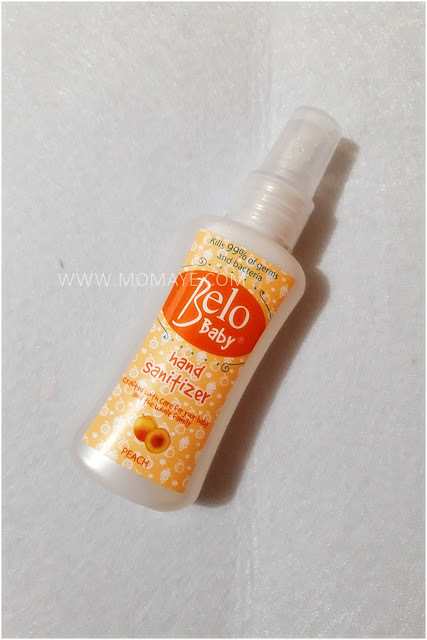 And since we love Belo Baby and they got a new product, he also picked this Belo Baby Hand Sanitizer. It has nice scent na not too strong. 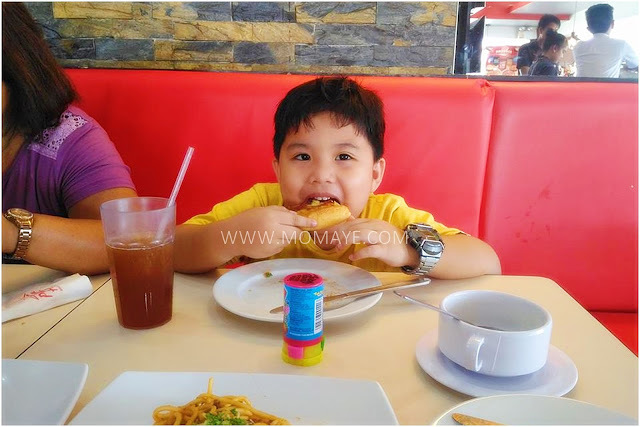 Since Belo Baby guaranteed it can kill 99% germs and bacteria, we can be sure that our kids are safe. 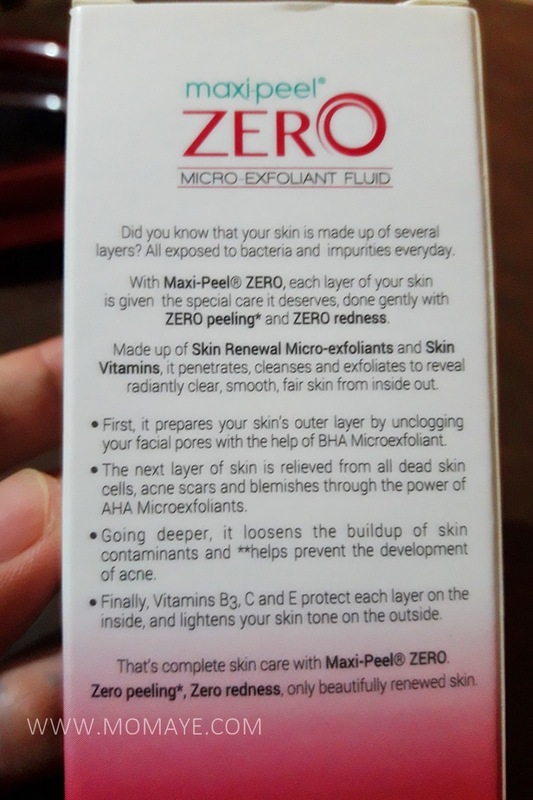 This is what I got naman, Maxi-Peel Zero Micro-Exfoliant Fluid. Yes yan lang dahil nga my review points was not credited agad and I just want to avail the free shipping that day. 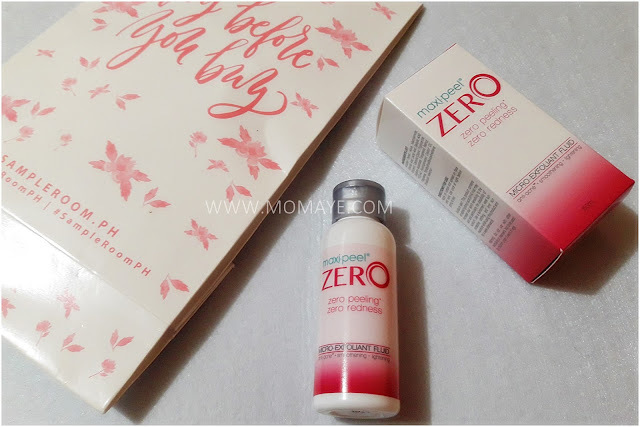 Sayang naman kasi this Maxi-Peel Zero Micro-Exfoliant Fluid looks promising e.
Napareview tuloy ako but this is not a full review ha. When Maxi-Peel says zero peeling and redness, super true naman. There will no peeling and no pain. I just used it every night especially when I had pimple breakout again dahil sa stress and puyat. 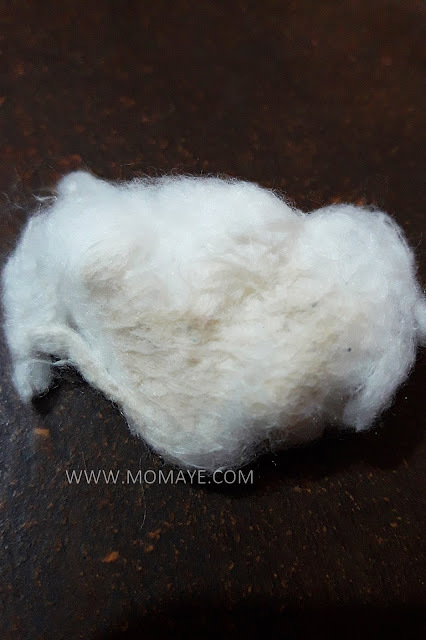 For people who used to peeling when using Maxi-Peel medyo maninibago kayo ha. 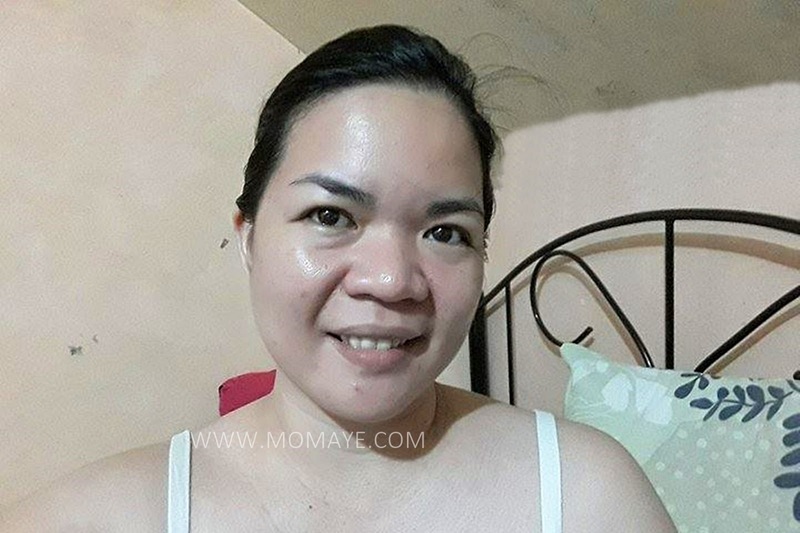 But I think mas okay naman kasi natural looking and it still very effective in removing excess oil and dirt. So gross I know. Sorry about that. Anyway, sharing my photo after a month of using Maxi-Peel Zero Micro-Exfoliant Fluid. I still have pimples but they come and go, and come again, haha. Syempre stress pa din naman ako so dapat pala yun ang gamutin ko hehe. 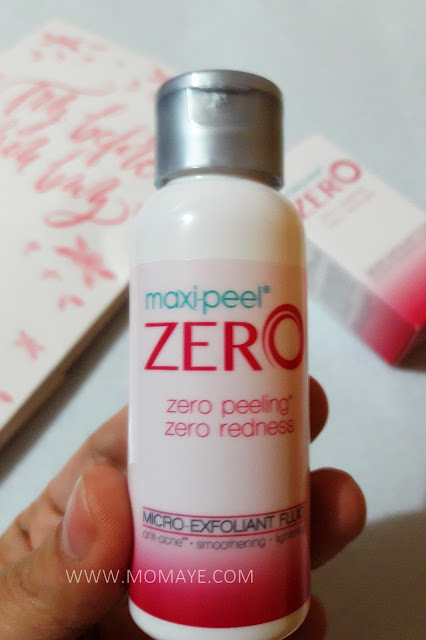 But infairness Maxi-Peel Zero Micro-Exfoliant Fluid help me tamed the pimples on my face during breakouts, and the pimple marks disappear easily. Don't be discouraged because of my face ha. 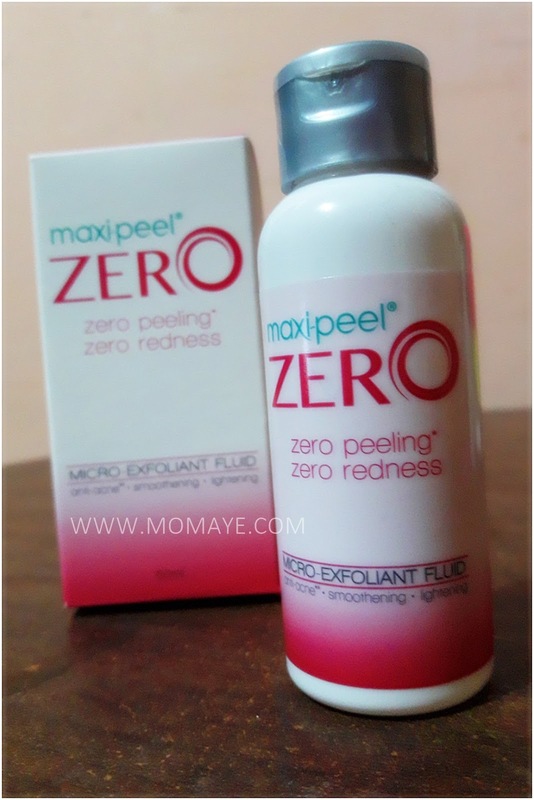 I will recommend you to try Maxi-Peel Zero Micro-Exfoliant Fluid. Compared to other peeling fluid, this is safer and not too strong. Tama lang ang effect nya. So there you go and I hope this helps you decide. By the way, I saw Maxi-Peel Zero Micro-Exfoliant Fluid is still available at Sample Room. Get na kayo. To know how to register at Sample Room, read My First #SampleRoomPH Loot for the Year. Registering is so easy. If you want to be referred, leave your email address at the comment box. Sayang naman referral points, haha! is Philippine's first ever beauty and lifestyle sampling website. localized product reviews, and where all beauty lovers are valued. Our son proved once again that despite being playful, he's a hard working student. A week ago, he had their final examinations. Weekend prior to that, we already started reviewing. I let him read on his own para masanay na sya. Good thing, he can read well both in English and Filipino. We continue reviewing until I was the one who surrendered, haha. From that day, we were reviewing every night na. We will finished 10 or 11 in the evening but I never hear him complaining. Except that he's so sleepy the next day. We kept on reviewing until the night of before the last day of examination. And for all his hardship, he deserves a reward. This toy we got from Miniso may be inexpensive but it already make him happy. But wait, we just learned last night that he's also in the Honor list! With that he deserves a much bigger reward. So I think I will buy him a guitar sooner than expected. It would have been a birthday gift sana but he deserves this the soonest. I found this Guitar Center has, mxr at a great price! Just in time. This is called luck, hehe. Anyway, with or without honor, my son deserves a reward. He maybe very playful now but what more pa if he becomes more serious at school. 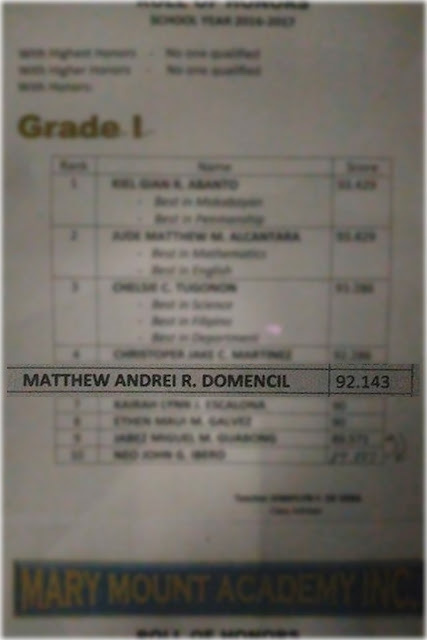 Again, congratulations anak. Just like last year, you made us so proud. We love you! 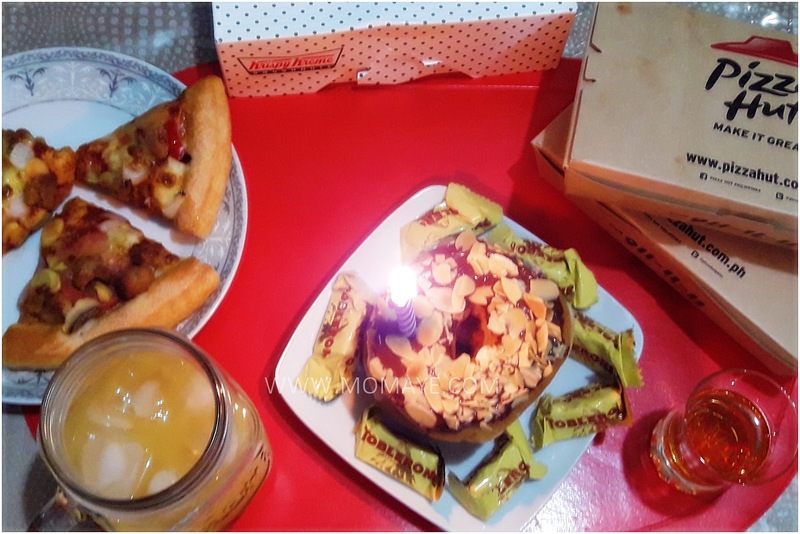 Last Sunday was Daddy A's birthday. 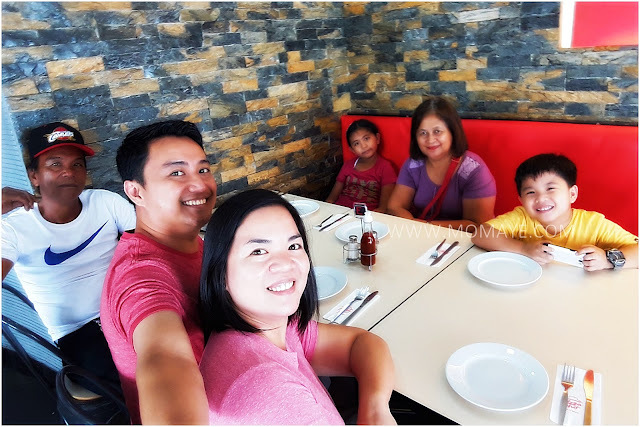 Since it's a Sunday, we went first to Divine Mercy Shrine to hear a mass and give thanks to God for Daddy A's another year. 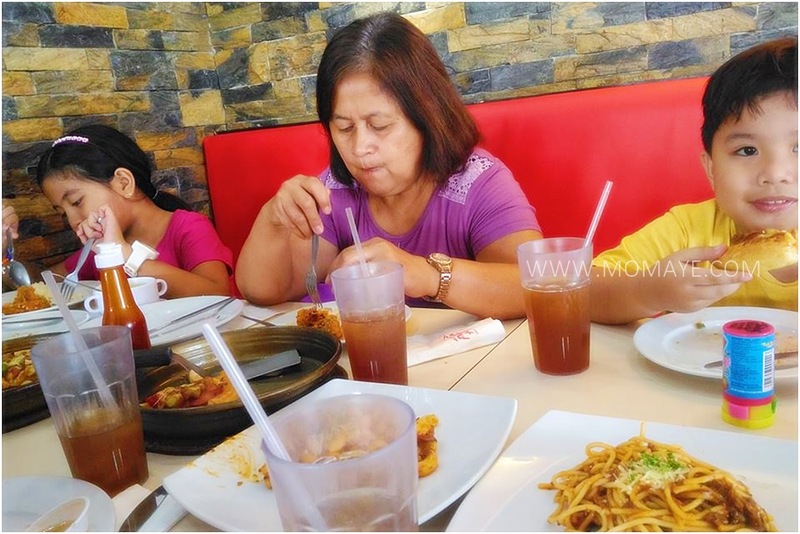 My father and mother in laws together with Daddy A's niece traveled from Nueva Ecija to celebrate Daddy A's birthday with us. But that day they needed to be back home and they brought Matthew with them. 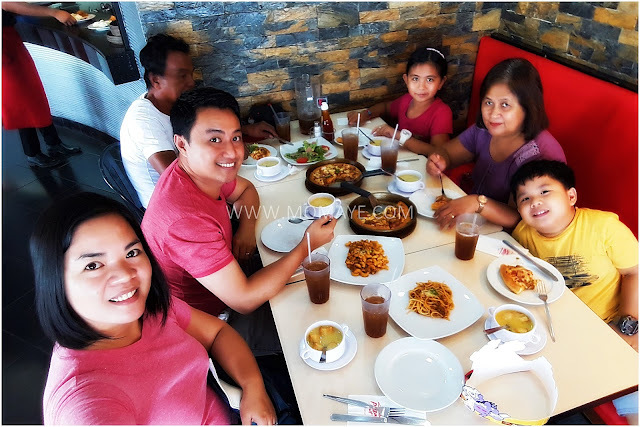 We're running after time para hindi sila gabihin sa biyahe so we chose to eat at Pizza Hut at Shell NLEX, Balagtas. Wala pa order, pictures na agad. Haha. The kids wore their party hats. We ordered the Hut Feast Meal 10 that is good for 6 persons na at 1,049.00 pesos. That includes two regular pan pizza. We chose supreme pizza. With two pastas. Here's the meaty macaroni. Also included are 6 cups of soup. We chose cream of mushroom soup. And this is why we ordered this feast. The feast includes 4 fried chicken + flavored rice. 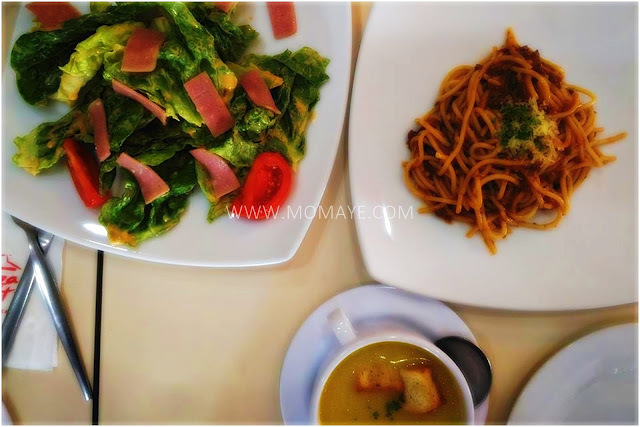 Daddy A added this Garden Salad at 75.00 pesos, as per Papa's request. Oh the feast also includes a pitcher of iced tea or Pepsi. 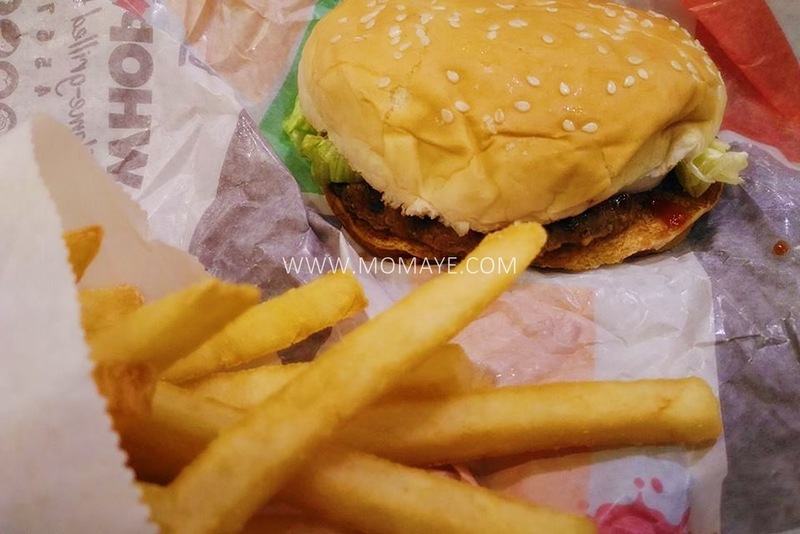 Alam nyo na kapag kainan na, galit galit na. Haha! This little boy ate not just pizza. But the chicken and rice too. 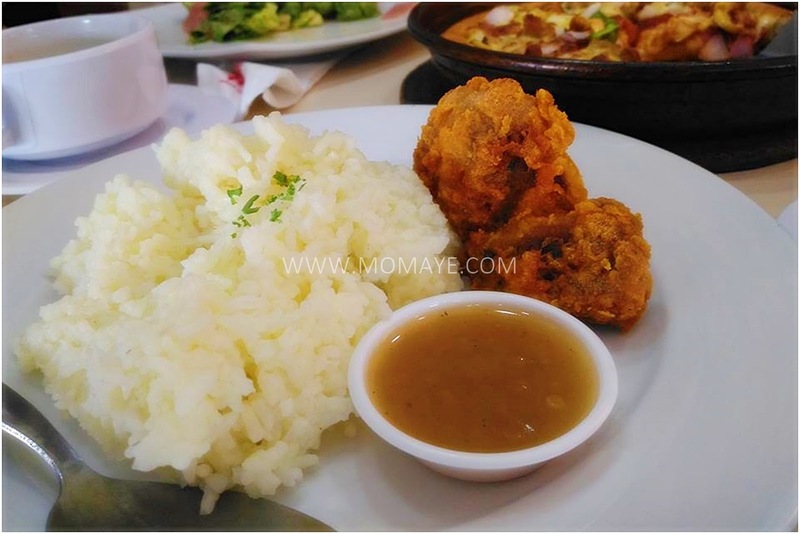 Favorite nya talaga ang crispy chicken. 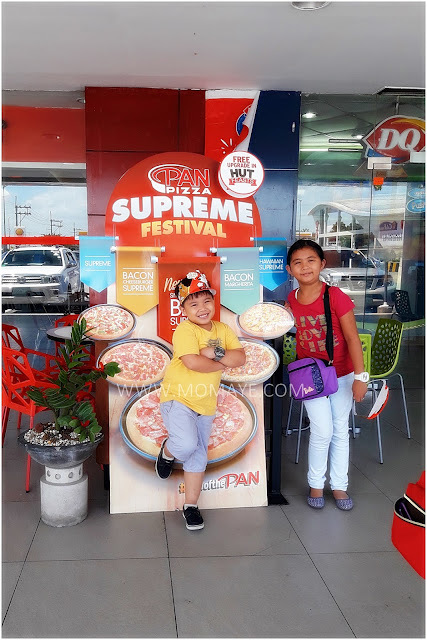 We had a full tummy after and these two kids gave a full smile naman for this photo opp, hehe. Before we left, there's a Dairy Queen beside Pizza Hut pala. And even with a full tummy, hindi nagpaawat ang mga bata and Daddy A buy them this Blizzard. And this, wala lang haha! Stolen shots daw e.
Nang nahatid na namin sila, it was just Daddy and I left at home. Yes, Matthew went with them. We have no choice because we have helper issues again. That I will tell you in a separate post na lang so as not to ruin this happy celebration. And there you go our birthday boy, chillin by himself. Happy birthday Daddy A. I don't have gift for you kasi naman parang nabili mo na yata lahat ng gusto mo e. Alam mo naman hindi ba we are saving more this year. Hehe. Anyway, I wish you good health. For work naman, just always give your best and you will go a long way. I know your capability and one day you will reach that top. Finally, I hope you'll be more patient with us. Be more romantic na din and always give your best to your family. Again, happy bithday! We love you so much our Chemist Dad! Time flies! It's been a year na pala since we welcome Belo's new line of baby-care products, Belo Baby! Which means that Matthew is using these Belo Baby products for a year too. Look at that happy face, even he's sick. 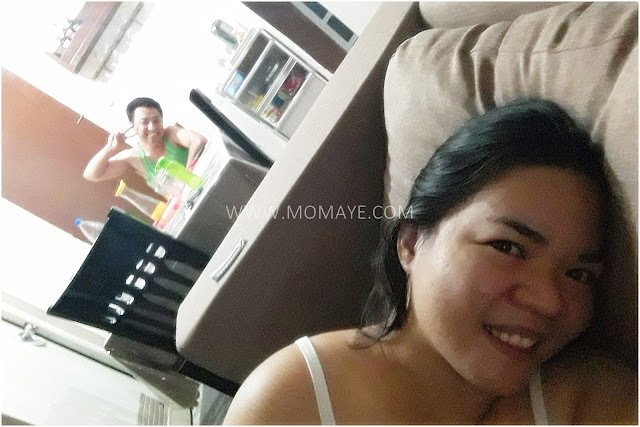 It was him a year ago while taking a bath with Belo Baby (Read: Our #BeloBaby Experience). Now, he can do it on his own. He's growing up so fast but his sensitive skin still needs the same care as baby's skin does. 1. Baby's skin is paper thin. About 20-30% thinner than adult skin. Making their skin very sensitive. 2. Baby's skin is very permeable. Which means more substances get through their skin. 3. Baby's skin is not fully developed. So that baby'skin is still not an efficient protection against infection. Because of these, baby's skin needs Baby Belo care. Baby skin needs product that is safe and all-natural and Baby Belo guarantee 100% certified natural ingredients and 0% harmful ingredients. 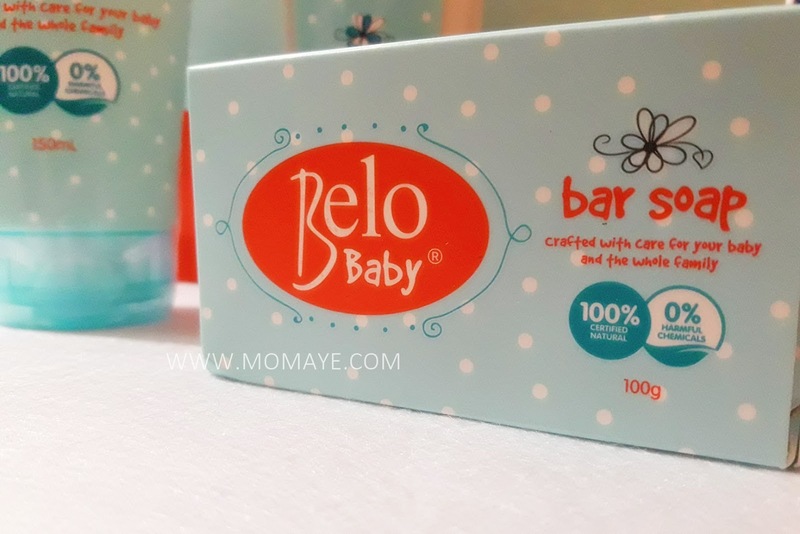 As shown in their seal of guarantee in this Belo Baby Bar Soap. Which means Belo Baby products are free from synthetic chemicals and toxins like sulfates, parabens, SLS, formaldehyde, Tetrasodium EDTA and phthalates. These chemical ingredients can irritate baby's skin and destroy skin's protective barrier making it prone to infection. Not only that, did you know that paraben is being linked to cancer? Scary right? That's why Belo Baby products are only made with 100% certified all natural ingredients like cocoa butter. Cocoa butter has antioxidant and anti-inflammatory properties that helps in strengthening and moisturizing the skin. 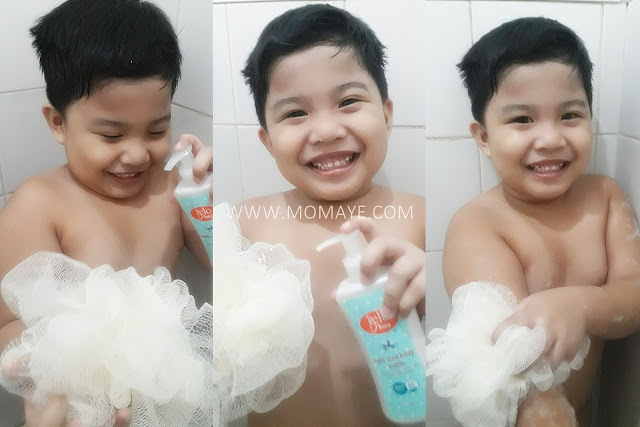 Making this Belo Baby Hair and Body Wash perfect for baby's bath time. Another natural ingredient is Shea butter, a known superfood for the skin. Shea butter naturally heals baby skin conditions like ezcema and rash. Belo Baby products has also sweet almond oil, known for its power to naturally soften skin by it locking in its moisture. 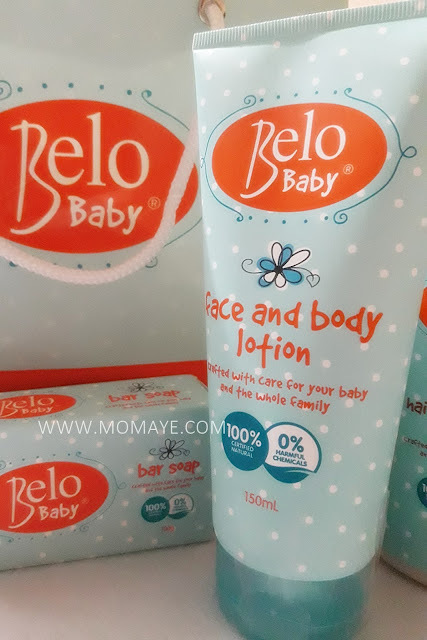 So applying this Baby Belo Face and Body Lotion after taking a bath can keep baby's skin moisturized making it less prone to skin problems like rashes. 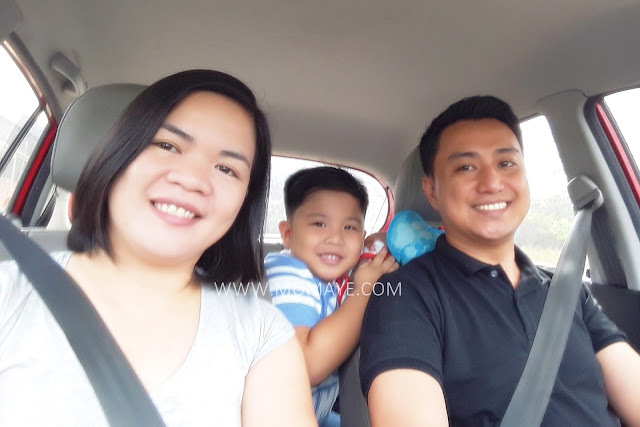 Again time flies, because it's already a year of our safe care experience with Belo Baby. 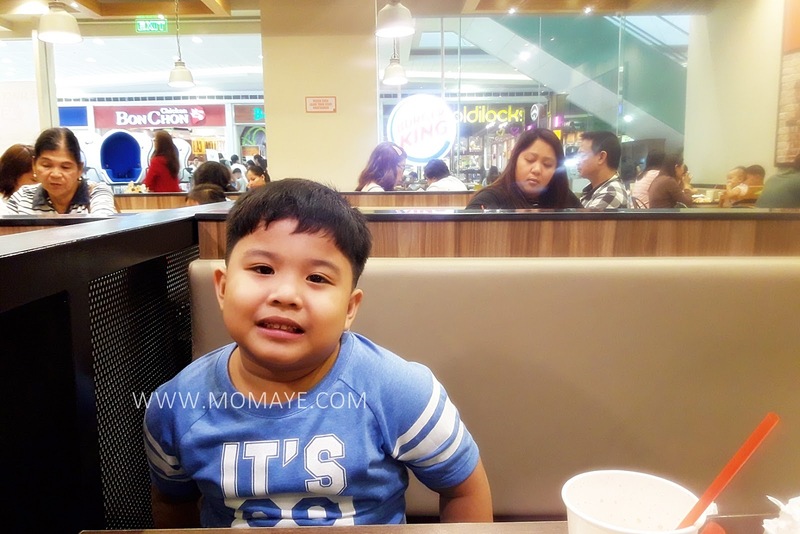 For a meticulous mom like me, it's only Belo Baby for my son's still sensitive skin. Because every Belo Baby product is crafted with care for the most delicate skin, for the most meticulous moms. And because Belo Baby loves you, we'll be giving away some Belo Baby products. 1. Share your Belo Baby moment on Instagram (make sure you tag my Instagram account: @mommymaye and Belo Baby: @belobabylove). 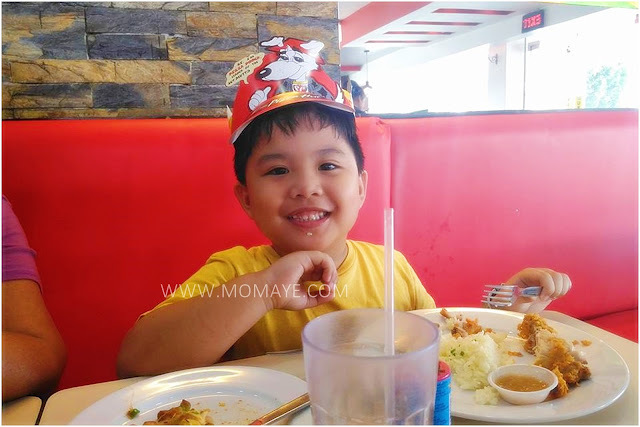 Use the hashtags #BeloBaby #BeloBabyMoment #MomayexBeloBabyGiveaway. 2. 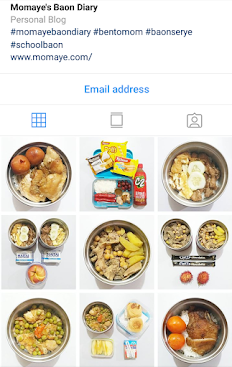 Come back here and comment the link to your Instagram share (must be public) and your name and email address. 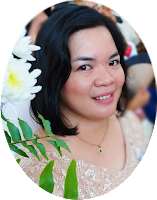 MomayexBeloBaby Giveaway will end on March 23, 2017. Winners will be announced on March 24, 2017! 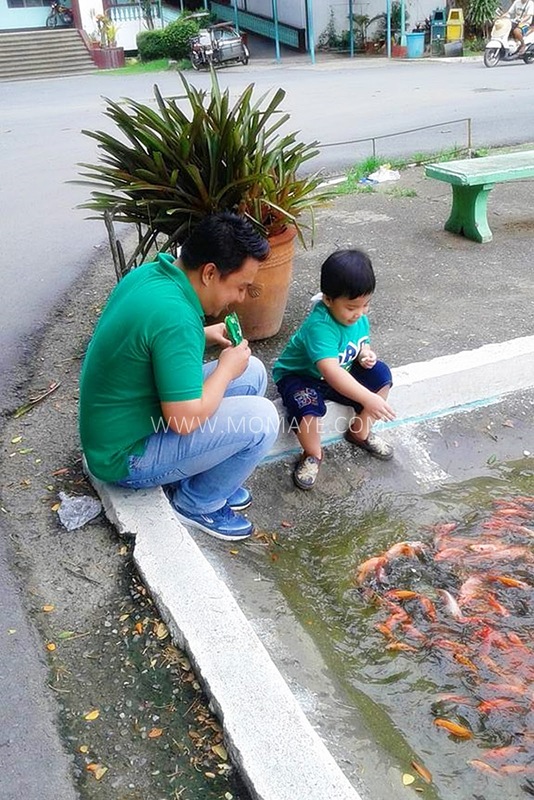 Here's a sample entry, Matthew's Belo Baby Moment. By the way, you can also join Belo Baby's Instagram contest too. 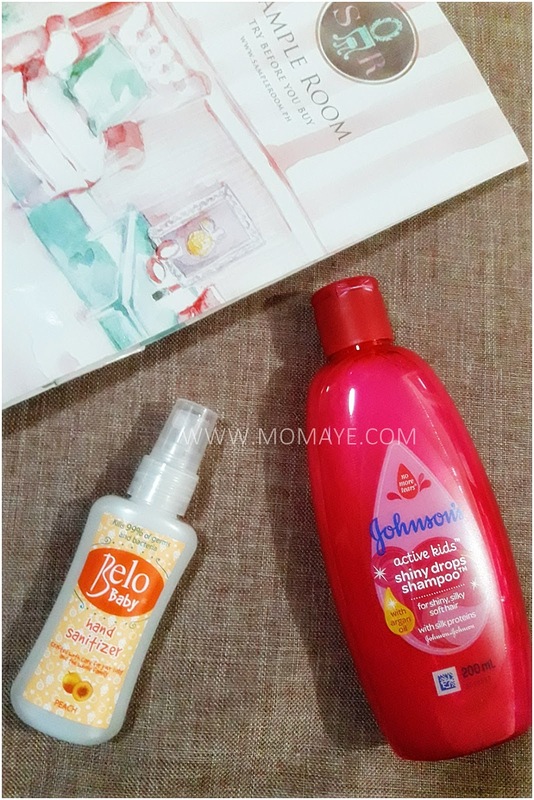 So you can win more Belo Baby products! The more the mannier, haha! Please do join the giveaways because Belo Baby products are must try not just for babies but also for young kids and young at heart. I'm sure your skin will never be the same again. Congratulations to all the winners and thank you so much to all who joined the #MomayexBeloBabyGiveaway. Thank you for your wonderful entries! ~ From Belo Baby and Mommy Maye. Actually our home improvement started last quarter of 2016. (Read: Groupon Helps Us Save With Our Home Beautification. It was a do it yourself (DIY) home improvement led by Daddy A. He started with repainting the walls at our kitchen. Then to the dining area. He also repainted our stairs. He also make a little interior design for our living room. 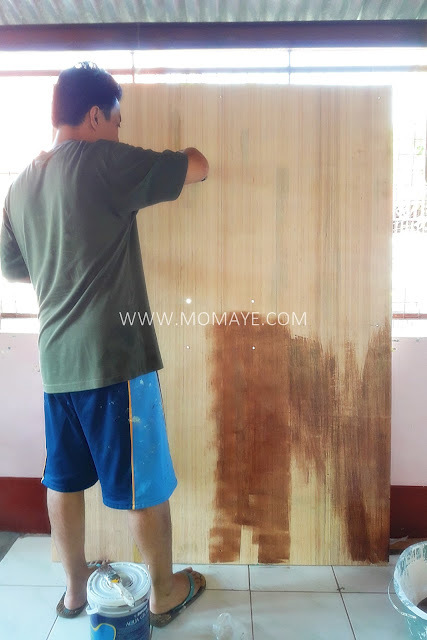 He painted this ply board for our wall rack. By the way, this is Daddy A's little assistant. The father and son have fun painting this ply board. Then Daddy A mount this ply board rack like this. It serves as our TV wall rack and accent too for our lighter wall. Beautiful right, but I tell you we had a hard time drilling ply board wall rack to the wall. Being me as Daddy A's only assistant, haha! It was just a minor home improvement though I really love the results, which I will share in my next post. 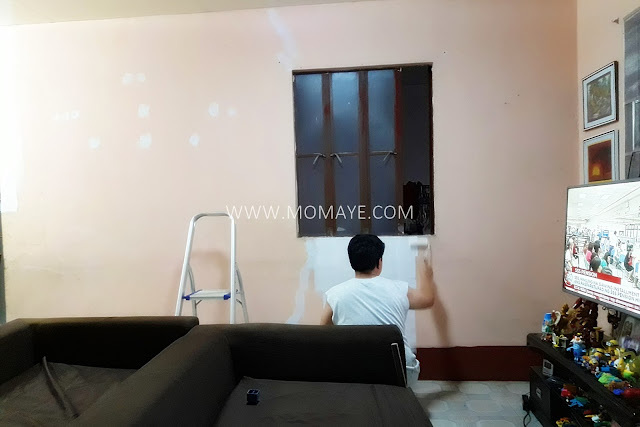 Our plan is to have a major home renovation 2-3 years from now. 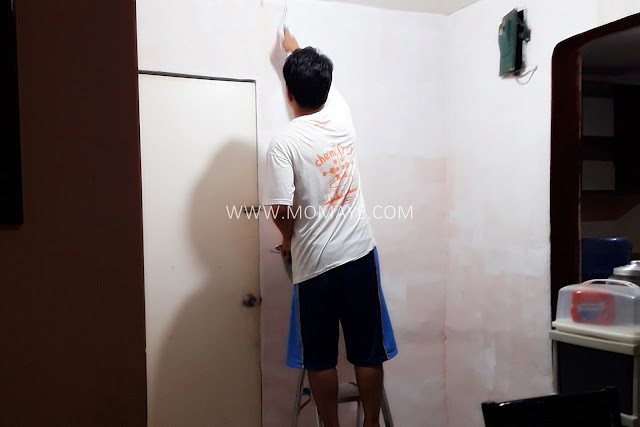 With that major home renovation plan, we need to find a home to lease like those at www.invitationhomes.com while our house is under renovation. 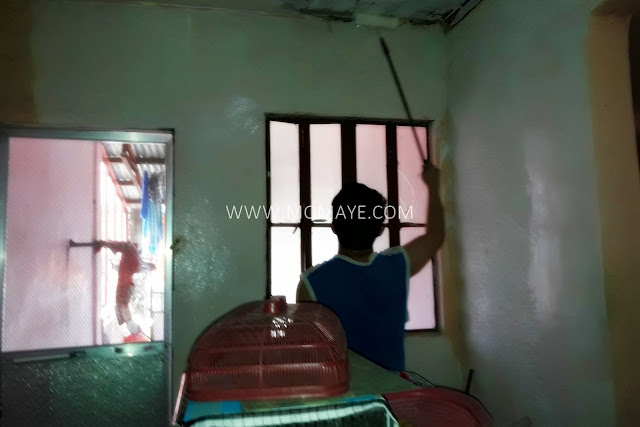 Our house also need a home maintenance especially for electrical wiring and water pipes. Regular spring cleaning must also be done. Our DIY home improvement was our choice, basically to save money. 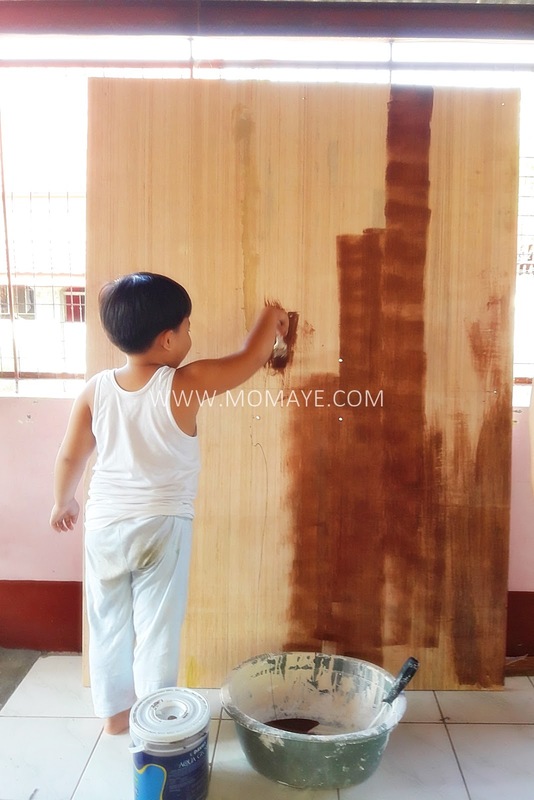 Daddy A did the repainting every weekend and every night after work. Yes, he's that determined to do it not just to save but because he wanted his design be followed accordingly. I'll share our home improvement after photos in my next post so please remember to get back. Are you planning to have a DIY home improvement or maintenance? I always look forward to Sundays. 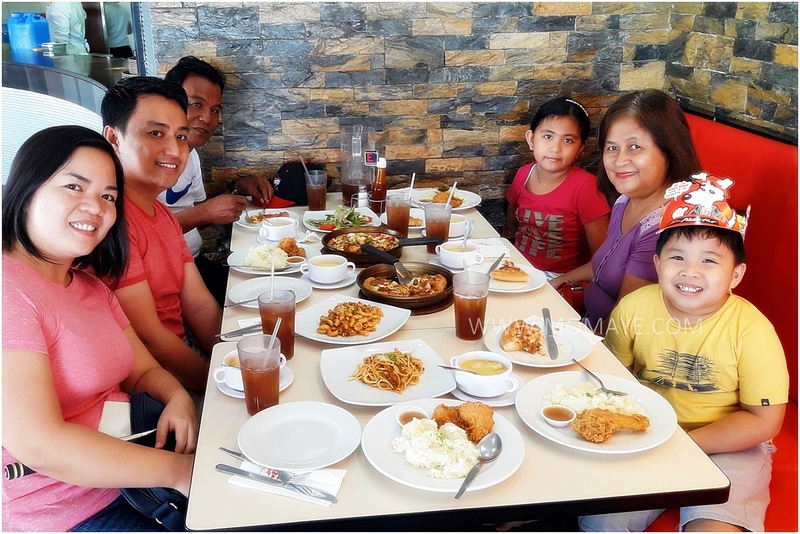 This is because Sunday is family day. 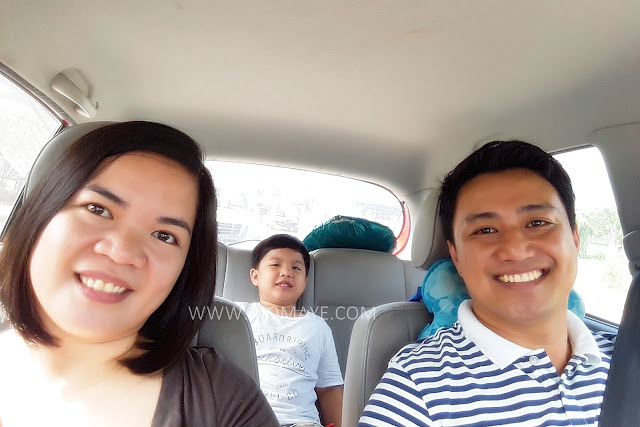 After Church, we usually go to mall to do errands like grocery and buying stuff we need at home. If we still have budget naman, we'll have little shopping for things we like. 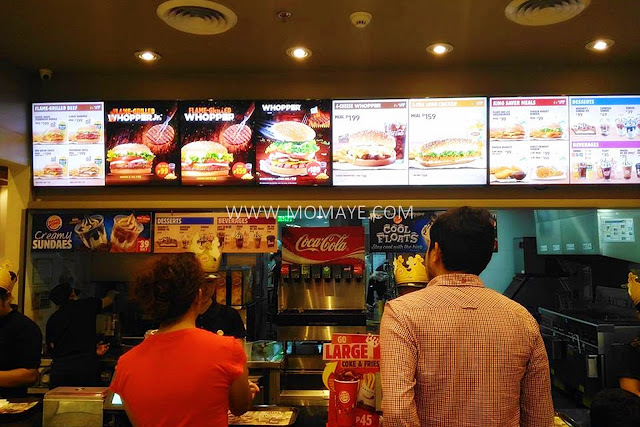 Then after that naman, we'll look for place to eat. Most of the times, si little bossing namin ang nasusunod. For kids, fast food is always a hit right? 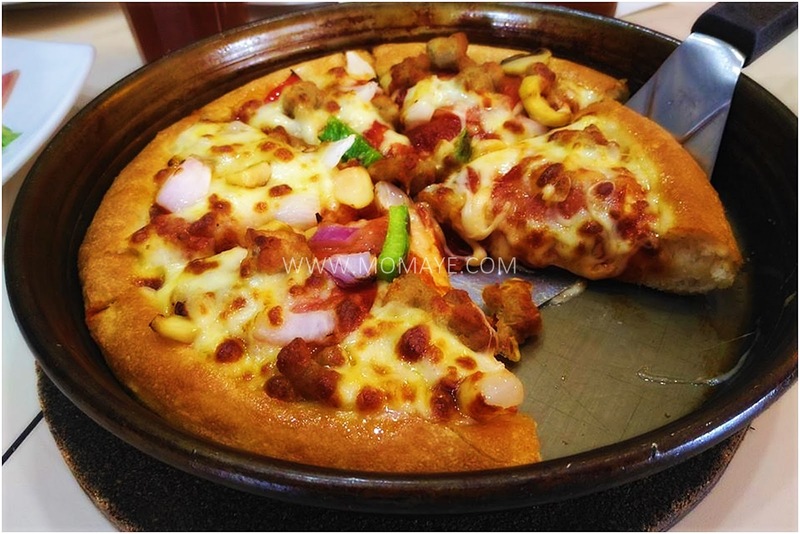 Chicken, burger, fries and pizza are the most common food kids love. 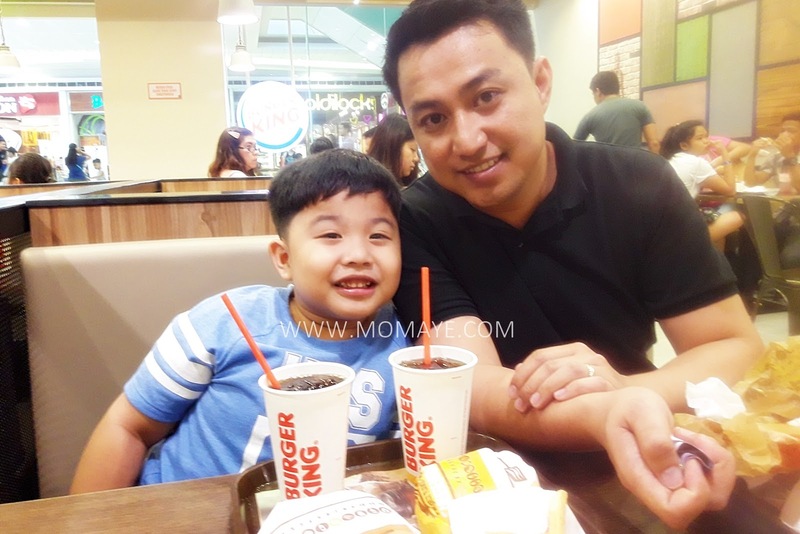 Alam nyo na siguro kung anong favorite fast food ng aming little bossing. 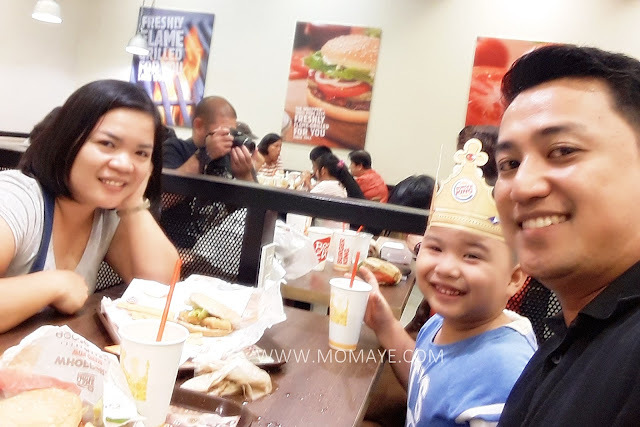 But this time, we begged him to try Burger King. 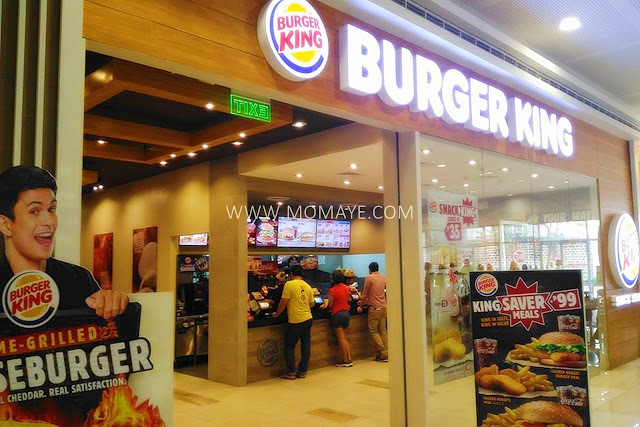 They opened a new store at SM Marilao kasi e. Noon pa namin gusto ni Daddy A tikman burger nila. Bilang kuripot kami, ngayon lang namin natry. So hello there, Tom, este Burger King! 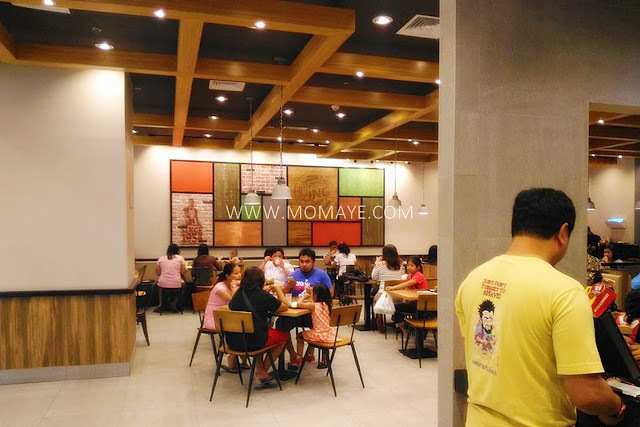 In fairness, Burger King has a cozier ambiance compared to other fast food restaurant. Hindi crowded, that's it. Also, I like that their menu is shown thru LED TV. I let Daddy ordered for us while we looked for a table. So this is Matthew. 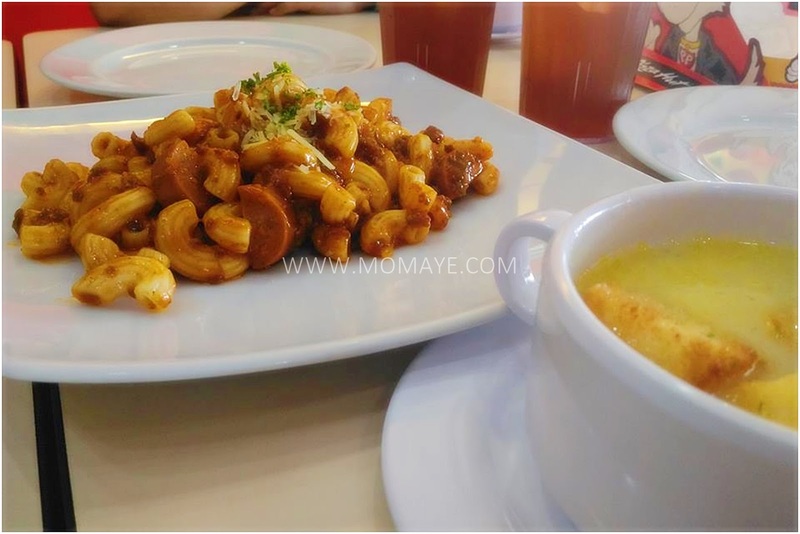 Mukhang gutom na. Oh, yes he was hungry na. 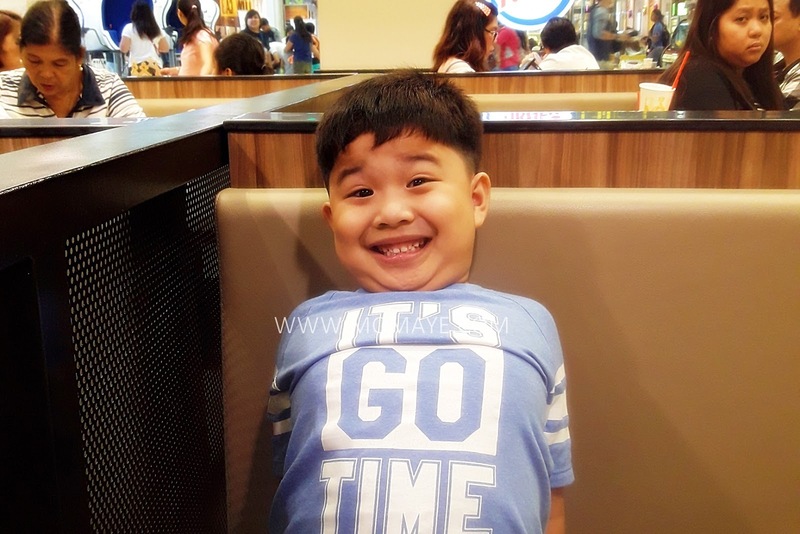 Showing his big tummy getting smaller na daw. Haha! 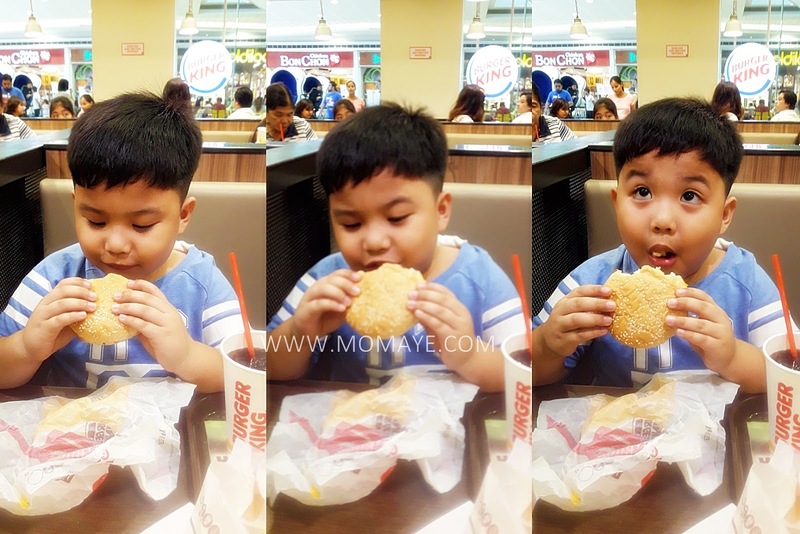 I think he found his new favorite burger. 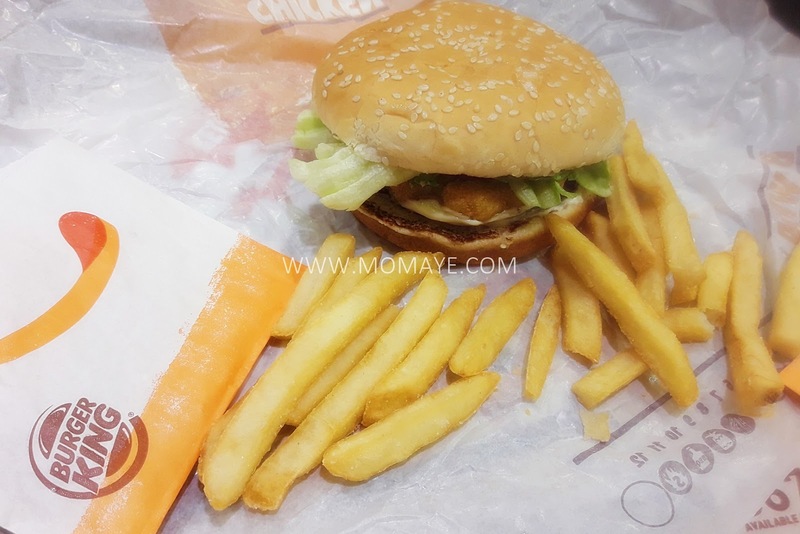 By the way, I chose this Burger King Chicken Nugget Burger with fries and drinks. Daddy ordered this Burger King Junior Whopper Burger with fries and drinks. And this is for Matthew, Burger King Flamed Grilled Cheese Burger with fries and drinks. 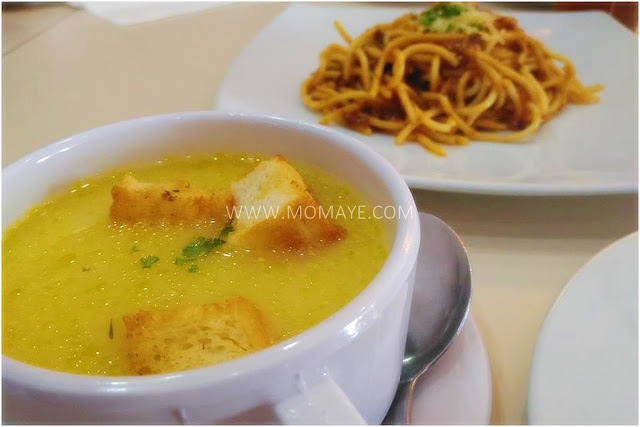 These meal combo are only 99.00 pesos each. 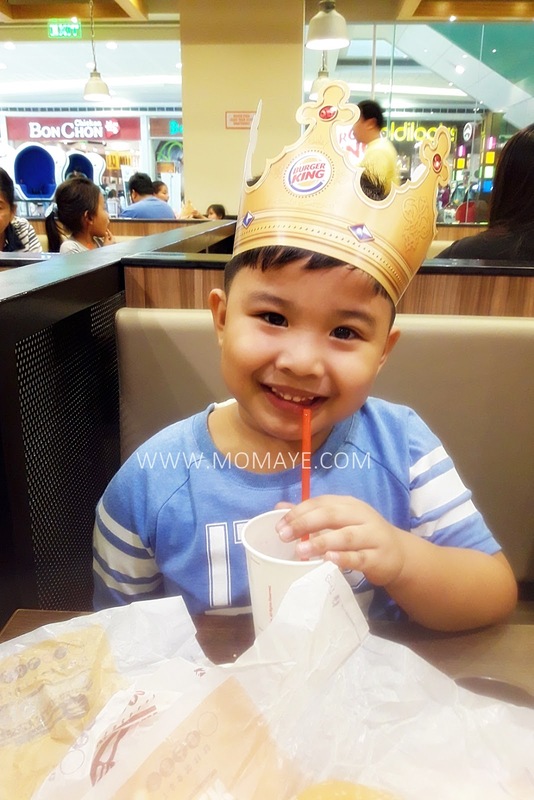 After finishing his Burger King Flamed Grilled Cheese Burger, this our little bossing. He said he's a prince. So that's our Burger King experience. I must say I love their burger. 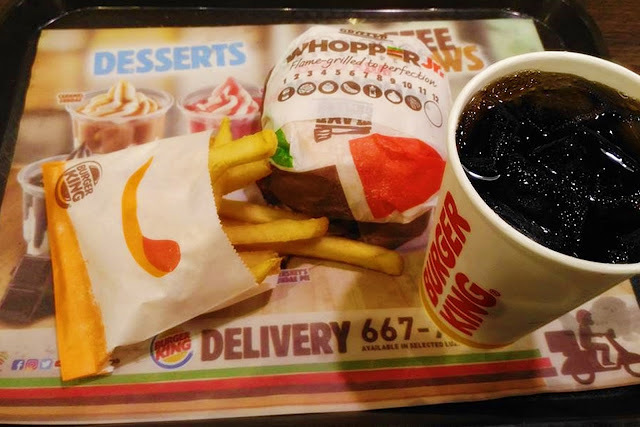 We'll definitely go back at Burger King next time. 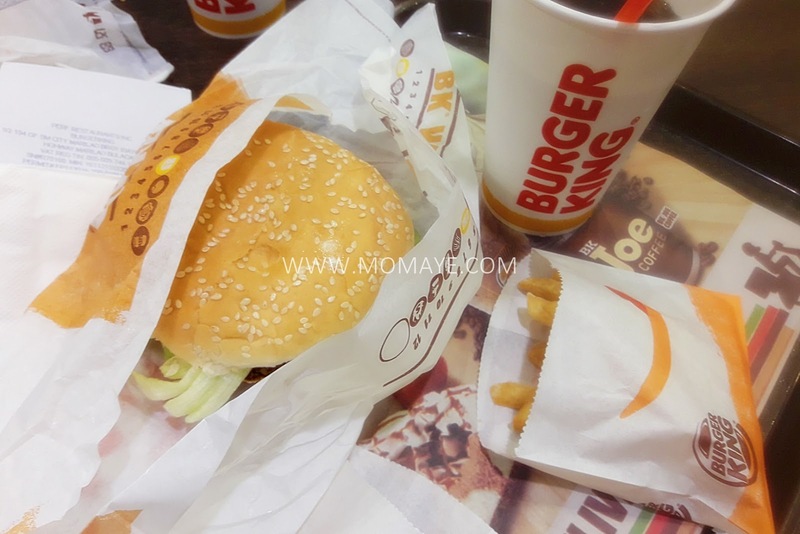 Have you tried Burger King burger?